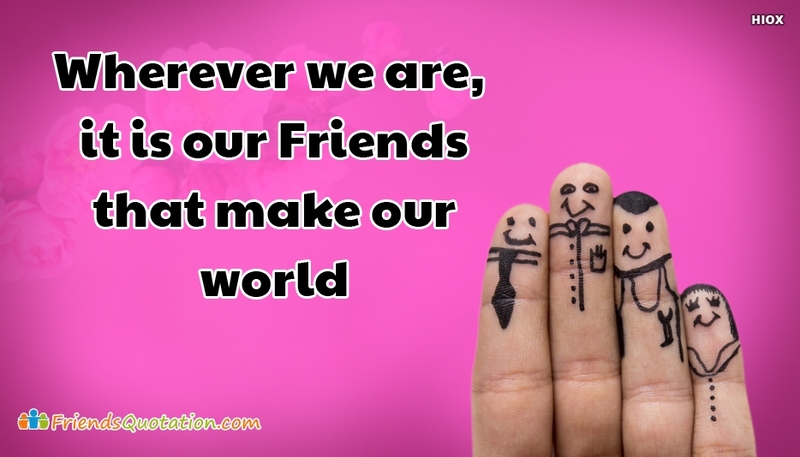 Here is a very cute pink shaded friendship quotation picture which speaks about the greatness of friendship. Friends make our world happy regardless of the situation. This friendship message is beautifully portrayed in this friendship picture with the message "Wherever We Are, It is Our Friends That Make Our World" supported by a lovely friendship background image.